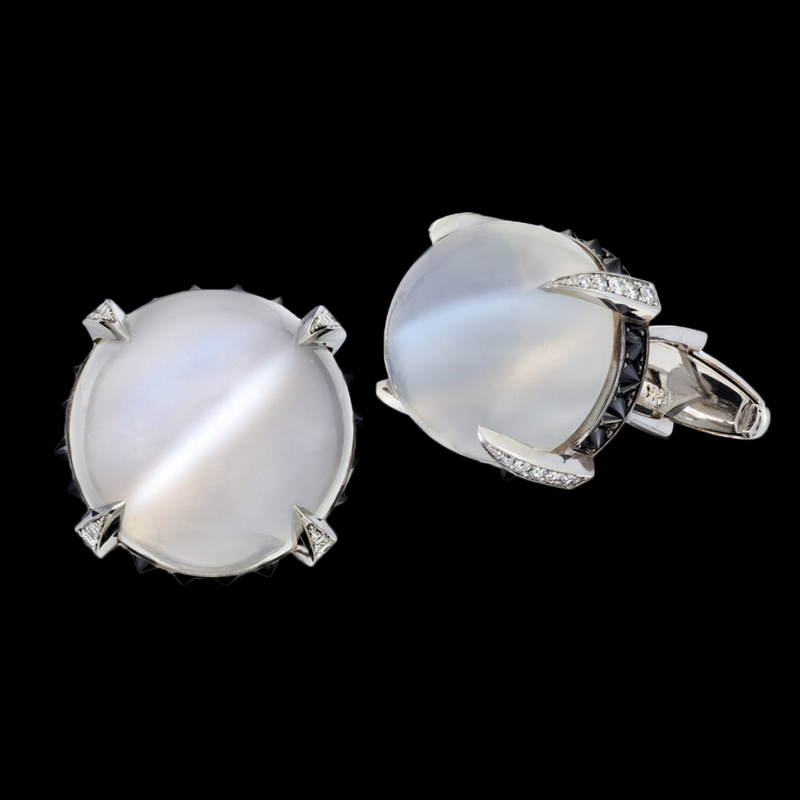 Killer Moonstone Cufflinks are mysterious and sophisticated. This unique cufflink design features opulent cat’s eye moonstones set in white gold with diamond accents. Cat’s Eye Moonstone, for it’s unique light interactions is one of a special class of gemstones which gemologists called Phenomenal Gemstones. For a more in depth look into moonstones and what make a phenomenal gemstones so alluring, browse our blog post Mystic Moonstone.